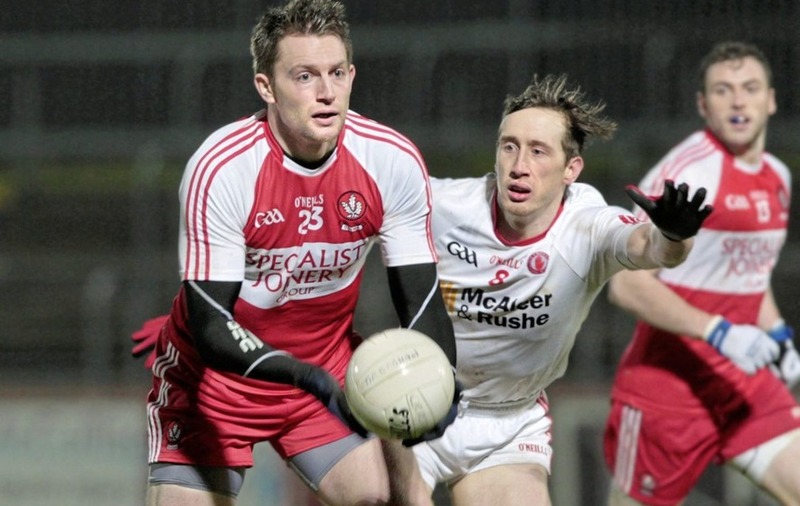 Derry forward James Kielt has retired after a decade-long career. Picture by Margaret McLaughlin. JAMES Kielt and Sean Leo McGoldrick have both called time on their Derry careers, and speculation is growing that Mark Lynch will soon do the same. The Oak Leafers will also head into 2019 without defender Kevin Johnston, who is set to take a year out to travel to Australia, while forward Niall Loughlin is heading back to Oz for a second year after a brief trip home that saw him play for his club Greenlough in the championship. However, despite speculation to the contrary, Slaughtneil midfielder Padraig Cassidy will definitely be returning to the fold. Kielt was a key member of the 2007 team that reached the All-Ireland minor final and has been a regular on the senior team since his championship debut against Monaghan two years later. His powerful left foot, and its ability to kick scores from distance, was the Kilrea man’s unique selling point, though at times he suffered from being forced to play in midfield because of the failure to replace Fergal Doherty and Patsy Bradley over a number of years. Across a trophyless decade in which he missed the 2012 campaign and opted out during the 2015 Ulster SFC, he still made 25 championship appearances, 20 of them starting, and scored 2-63, more than half of which (1-38) was from play. McGoldrick had initially retired two years ago, but was convinced last summer by Damian McErlain to rejoin the squad ahead of the championship and was parachuted into the team for the Donegal game. One of eight siblings that have represented Derry in football, hurling or camogie, McGoldrick’s decision doesn’t come as a major surprise. He hit a peak during the early part of Brian McIver’s reign during which he was one of the best wing-backs in the country, and was instrumental in the county’s run to the Division One final in 2014. McGoldrick is preparing for a third Derry SFC this weekend, where the Eoghan Rua side in which he is still a talisman from centre-forward take on Lavey. Speculation continues to mount that Mark Lynch, who has been a mainstay of the team for 15 years. He had been heralded as a teenage prodigy and had a huge hand as a 16-year-old in guiding Derry to their last All-Ireland minor title in 2002 before being drafted quickly into the senior panel by Mickey Moran, and making his championship debut in 2004. Lynch was another that suffered from having the versatility to fill gaps, and played everywhere from centre-back through to full-forward across an unstintingly dedicated career. 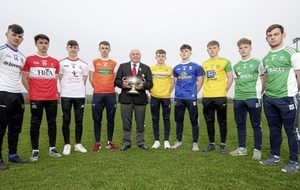 His club Banagher are preparing for an Ulster intermediate campaign, which begins this weekend with a preliminary round tie against Fermanagh champions Belnaleck. 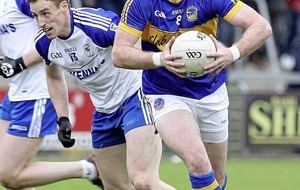 Lynch, whose father Mickey was also an outstanding player for club and county, had been used in an impact role for most of the past season, just as Kielt had. While there is no confirmation of his decision, The Irish News understands it is likely that he will not return to the fold for what would be a 16th unbroken campaign. If he does join the retirees’ list, it will leave McErlain with a huge deficit of experience within a youthful squad. Qualified medical practitioner and Dungiven defender Kevin Johnston, who has mostly played at wing-back but filled in at full-back, is bound for Brisbane for a year. Hopes that Niall Loughlin would stay home grew briefly, but he has since decided to return to Australia on his second-year visa, but it’s expected that he will be back in Derry colours in 2020. Niall Keenan and Ciaran McFaul, both of whom missed this year’s championship when they travelled to America to play with a successful Donegal Boston side for the summer, will rejoin the panel.